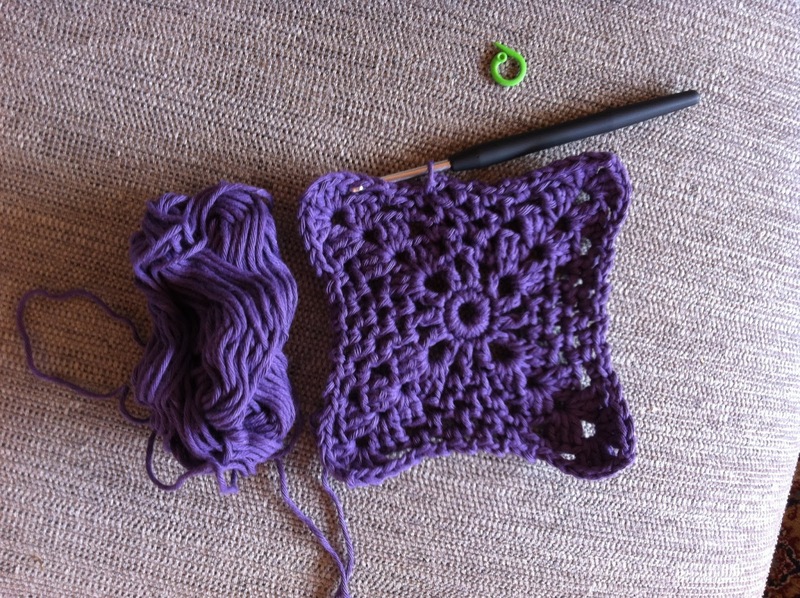 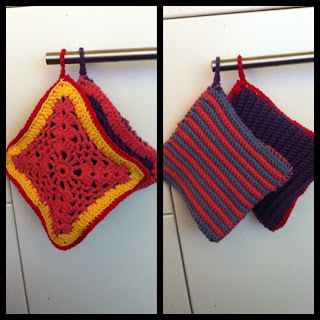 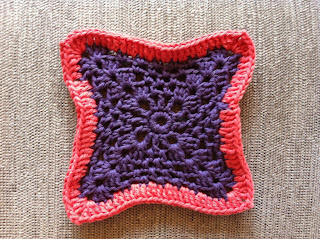 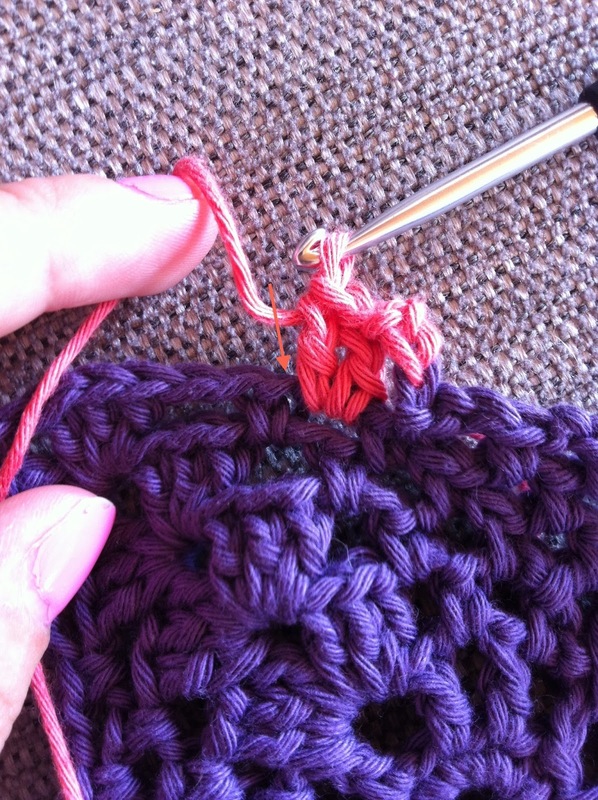 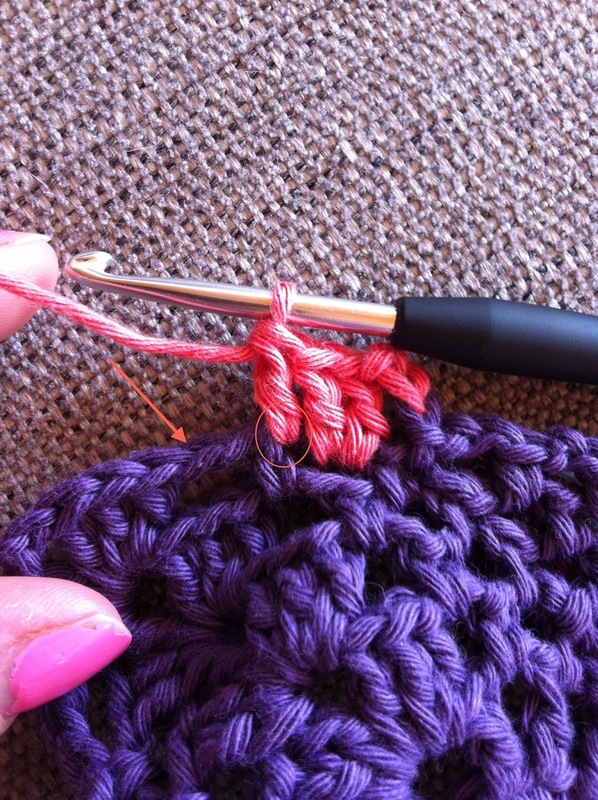 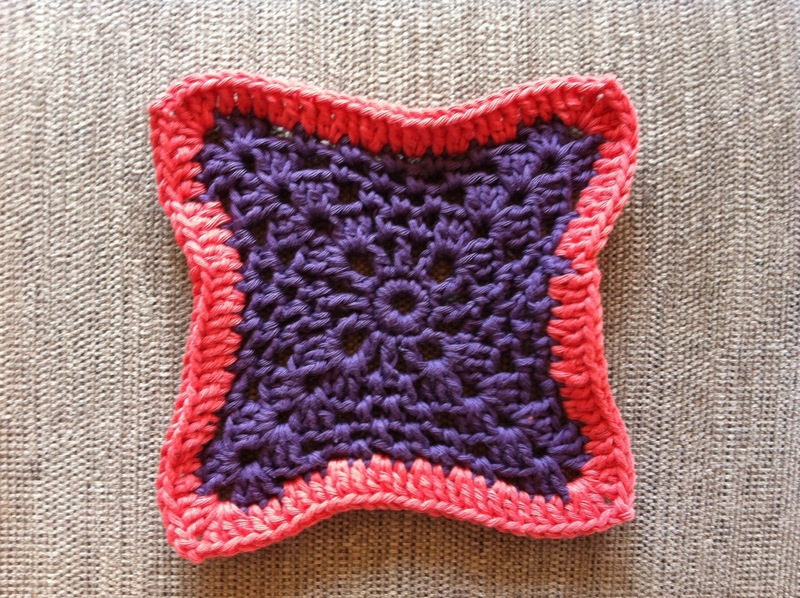 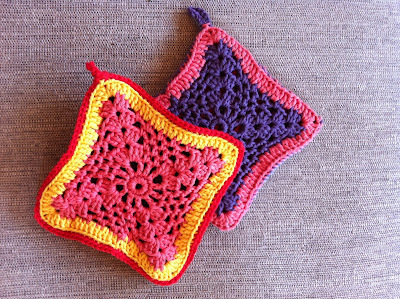 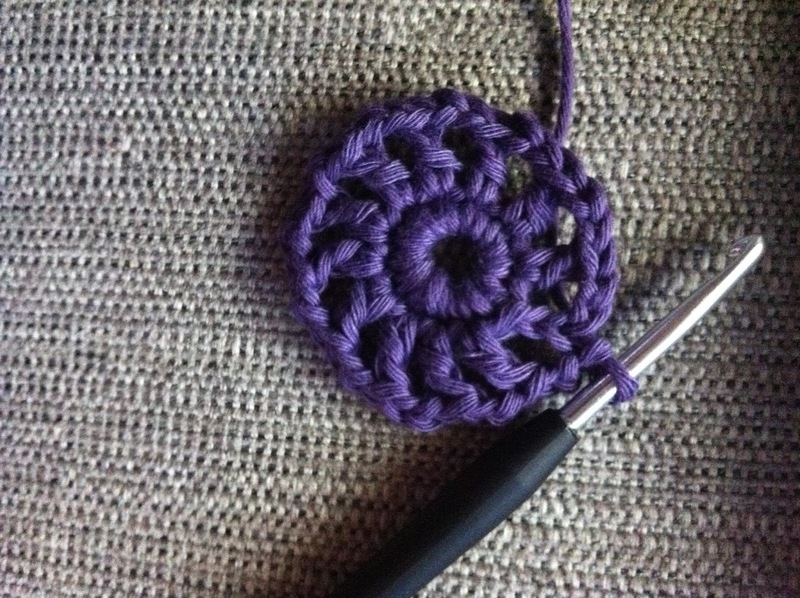 Granny squares can be used for so many purposes, one of the more popular ones being the grannysquare blanket. However, I my patience wasn't up for that challenge so instead I made a pair of oven mitts for my step mom. If you want a pair for yourself - or maybe just inspiration for a grannysquare pattern - I hereby present to you this free and quite thorough grannysquare-oven-mitt-pattern with pictures. 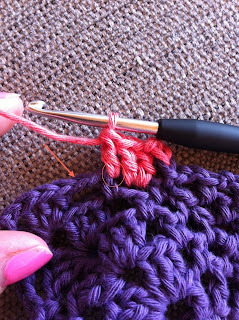 loop = there will be a lot of stitches in the loops made by chain stitches - I'll just refer to these as "loops"
Basically this is all you have to know to do the following rounds. 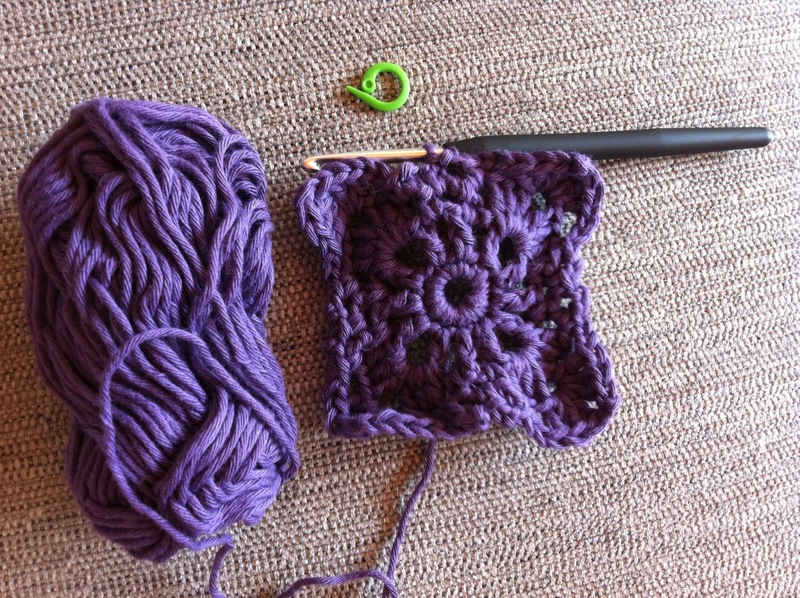 Working round 4 you'll probably notice how the technique and procedure is very similar to round 3. 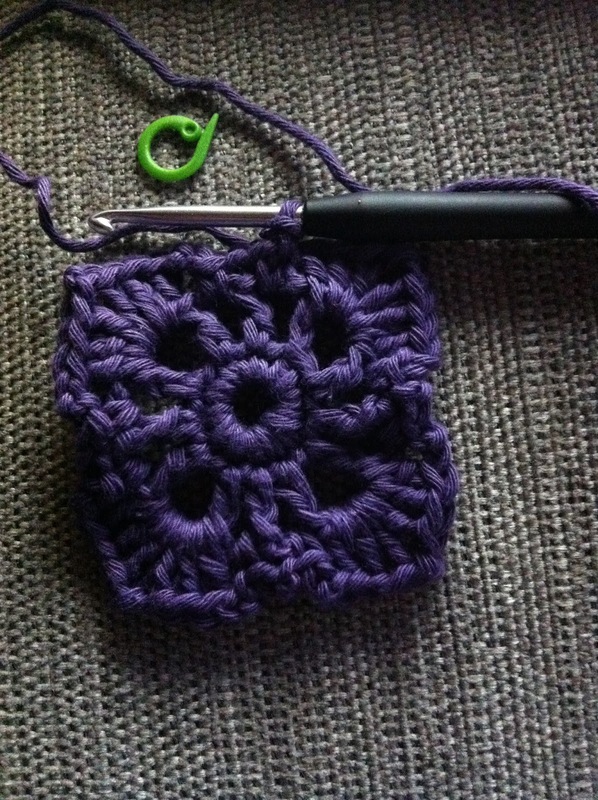 7) Now you have to do the edging of the square (this is where I made a change of colors). 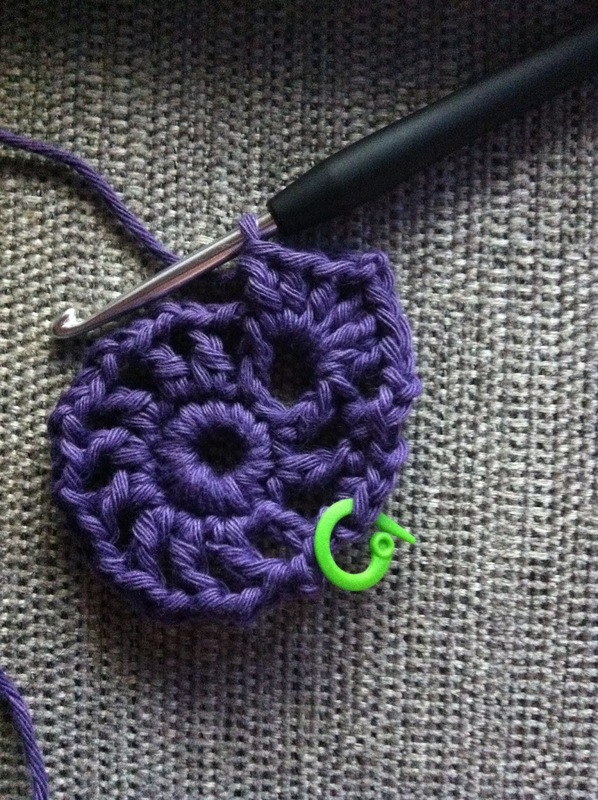 Ch 3 and then make 1 dc in every sc, 2 dc in every regular loop and do the corners as previously (*ch 2,3 dc, ch 2, 3 dc*). End with 1 sl st in 3rd ch st. Fasten off and weave ends. I've made the back piece with the same yarn as the front piece - if you use thin cotton yarn for the back piece you'll have to adjust the pattern and probably chain a few more ch st in the beginning and make a few more rows if it's going to fit.